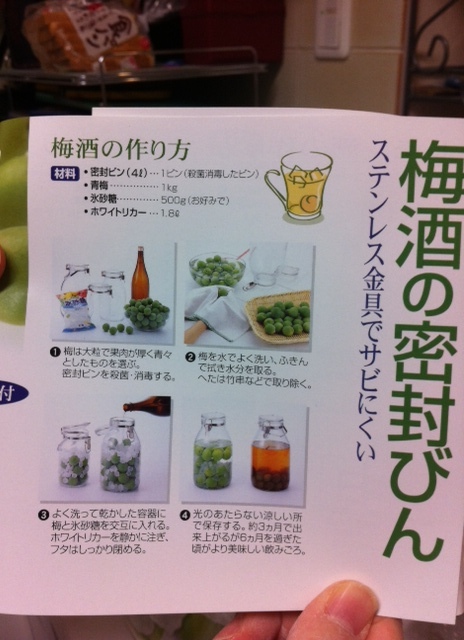 Making Umeshu – Take Two! 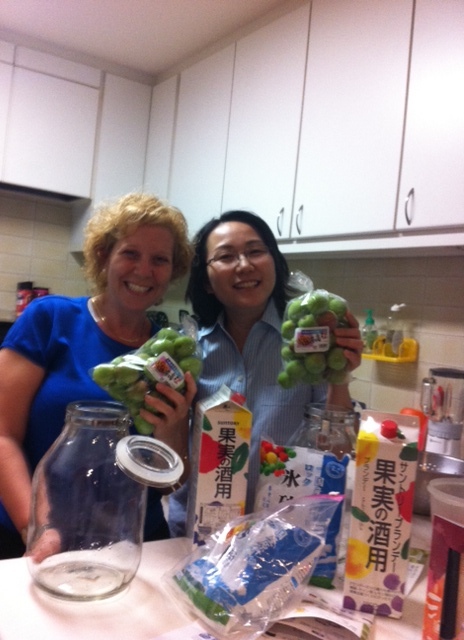 This is our second year in a row of making umeshu (plum wine) from scratch for my good friend Saori and me. This year we got serious. 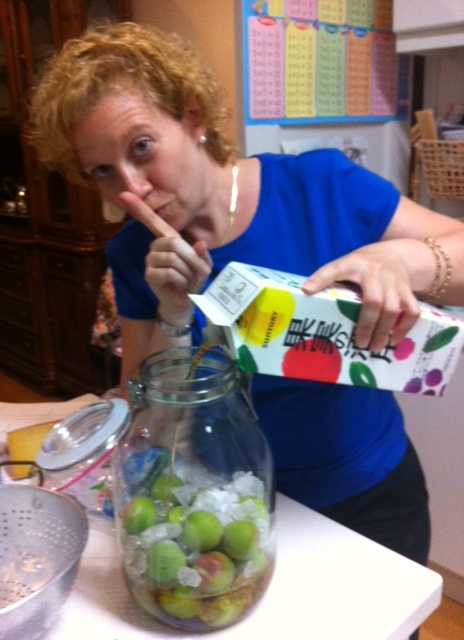 We bought the “right” type of containers, the perfect amount of plums and alcohol, and found good directions. We were determined to follow the directions to the letter, thus making the very best wine possible. We carefully washed, dried, and de-stemmed each tiny plum by hand. 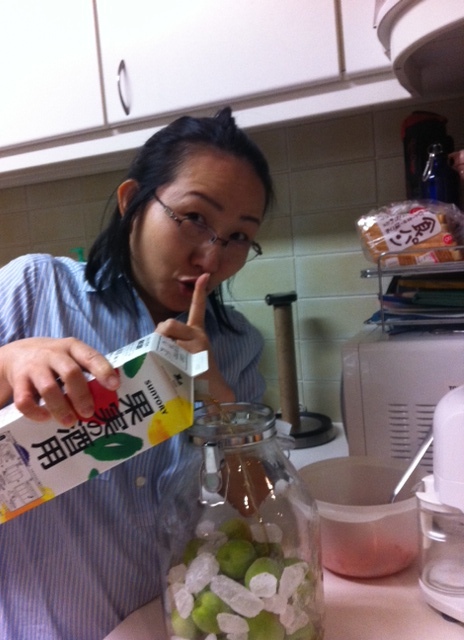 We carefully layered the plums and the special rock sugar as described. And then – only then – did we QUIETLY pour in the alcohol. I am still unclear on how exactly one pours “quietly” but we did the best we could. Both of us put our containers under our respective kitchen sinks, a cool, dry place, and they will remain there throughout the summer. The plums need about 3 months to ferment properly, so we will see what happens in late September! Stay tuned. Are those little green things the plums? They look like limes. I’ll admit, I was worried about the rubbermaid left over the summer. These jars look much better!